Petra, the Red Rose City is one of the “New Seven Wonders of the World” rediscovered by Swiss explorer Johann Ludwig Burckhardt in 1812. It is a city carved in a mountain from the Nabatean period located around 250 KM (3.5 hours) South-West of Amman via Route 15. The site features huge colorful rocks in pink – the entrance is through a 1.25 KM narrow gorge in the mountain called the Siq. Structures carved into the rocks include temples, theaters, monasteries, houses and roads. Half a mile from the Siq is the site of a famous scene in an Indiana Jones movie. 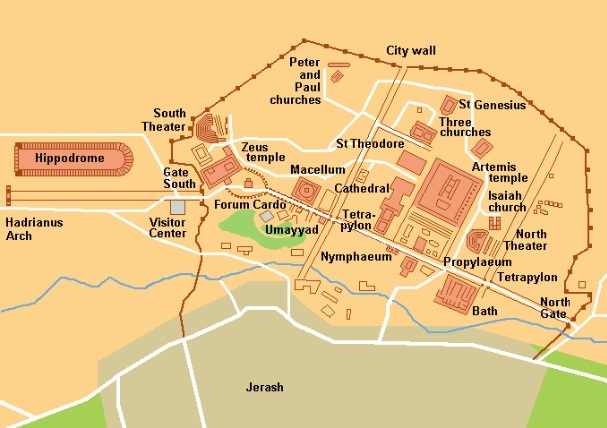 Jerash, a well-preserved Roman town with colonnaded streets, Corinthian arches, Roman Theaters, etc is a Decapolis city called the Pompeii of the East. The area surrounding the ruins is one of the most scenic in the country with ancient olive groves and oak/pine woodlands. Jerash is located around 55 KM due North from Amman on Route 35. Wadi Rum, a desert full of mountains and hills located south of Jordan. It is considered as the most stunning desert in the world with massive mountains rising vertically and cliffs of weather-bed stone in a pink desert setting creating a place of breathtaking beauty. The site is mainly known for its association with Lawrence of Arabia. Mukawir is the hilltop location were John the Baptist was ordered to be beheaded by Herod Antipas, the son of Herod the Great. Holyland Trip Report - Jordan - Mount Nebo, Madaba - Day 1. Holyland Trip Report – Israel - Yardenit, Tiberias, Tabgha, Cappernaum, Ginosar, Sea of Galilee (Day 2). Holyland Trip Report - Israel - Nazareth, Cana, Tel Aviv, Jaffa, and Bethlehem (Day 3). Holyland Trip Report - Israel - Jerusalem (Day 4). Holyland Trip Report – Israel – Jerusalem, Jericho, Dead Sea (Day 5). Holyland Trip Report – Egypt – Red Sea, Sinai (Day 6). Holyland Trip Report – Suez Canal, Cairo - Day 7. Holyland Trip Report - Old Cairo - Day 8. Holyland Trip - Gotchas to avoid. 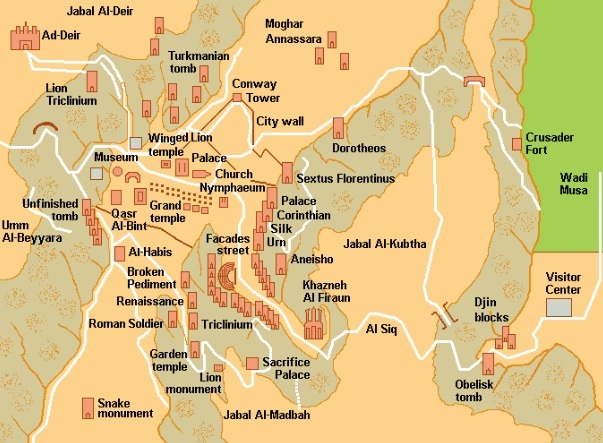 Holyland Trip - Jordan - Other Sites.